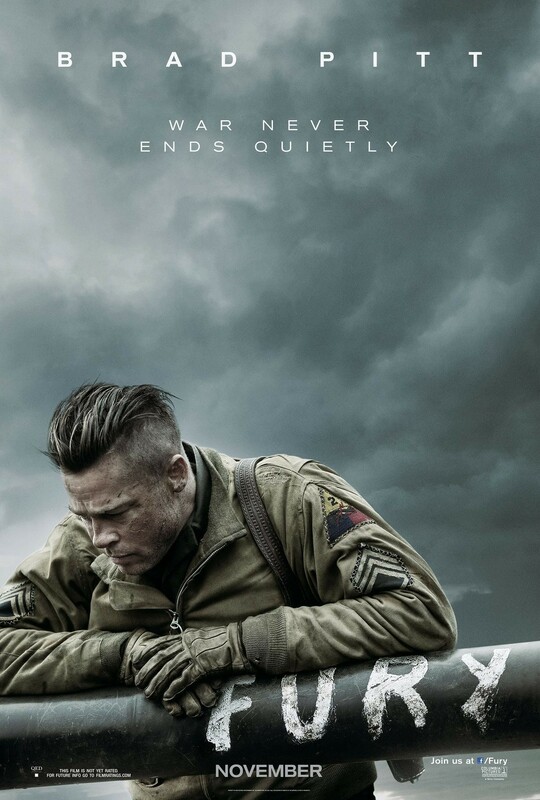 It hurts to watch “Fury”…literally. I have never seen a more visceral film about WWII; I can’t count how many times I winced or moved while watching the picture. But that’s what makes it so good. Director David Ayer (the underrated “End of Watch”), and his actors outdid themselves to bring this gripping story to the screen, and they have much to be proud of. Brad Pitt is well cast as sergeant Wardaddy, who commands a Sherman tank and her five-man crew on a deadly mission in Germany during the final days of war. The movie doesn’t go much beyond cliché in establishing the camaraderie among the crew. But once on duty, Ayer proves a virtuoso at showing how action defines character. And Pitt, Shia LaBeouf, John Bernthal, Michael Pena and Logan Lerman add to the impact. The bravura filmmaking in the action sequences is astounding. But Ayer’s real achievement is keeping the human element front and center and that’s mission accomplished. We watch in horror as soldiers watch their comrades being picked off one by one. Like the best war movies, “Fury” laces action with moral questions that haunt and provoke. The result is unique and unforgettable.